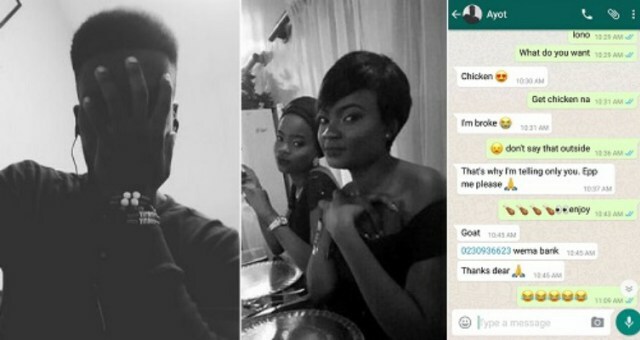 The story of a Nigerian Lady who refunded a guy’s date money and added an extra for transport fare has been trending on Twitter. Amidst the juicy story, everyone was curious about how the lady got the guy’s Wema bank account number. According to the lady, Pablo had previously begged her for money on Whatsapp. After he went ranting on Twitter, she shared the whatsapp convo with Subdeliveryman, who re-shared it on Twitter.